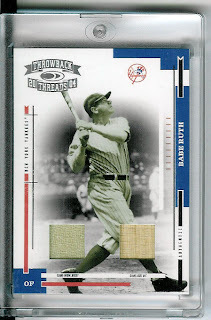 Voice of the Collector: Babe Ruth Uniform Sells for $310K!! You pulled that dual relic???? I keep it in a velveteen Crown Royal sack in my pillow which I then handcuff to my wrist at night.